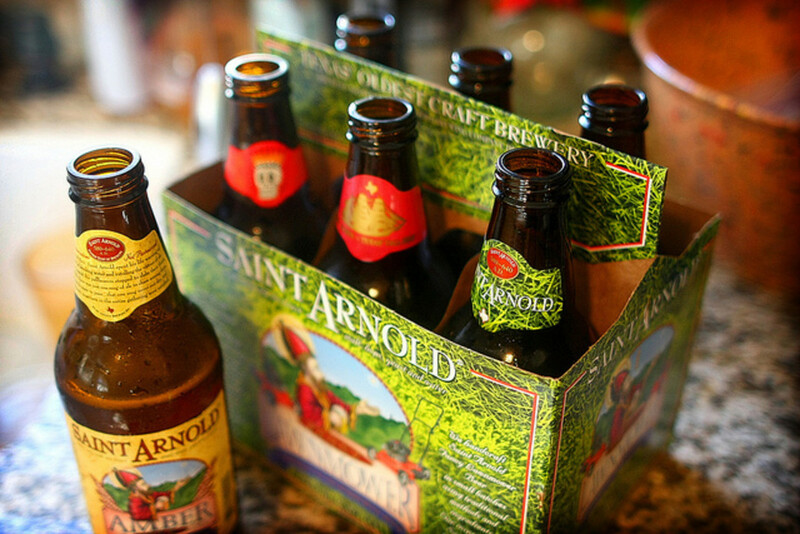 What would be in your ideal six-pack of Houston craft beer? As Houston's dining scene profile has risen rapidly over the last few years, so has its craft brewing scene. Someday we'll all tell our grandkids about how Saint Arnold was once the sole purveyor of Houston craft beer—a brave pioneer in the dark days before the archaic beer laws in the state were struck down or rewritten—and their minds will boggle. When I graduated from college a little over a decade ago, the only craft beer game in town was Saint Arnold. Those of us burgeoning craft beer nerds in Texas were happy with our bottles of Amber and Brown, and were grateful to score some New Belgium six-packs or a faux-ceramic bottle of Delerium Tremens at Central Market—then, along with Spec's, the premier beer-buying destination. Petrol Station was still a twinkle in Ben Fullelove's eye. Southern Star Brewing Co.—the first new craft brewery in Houston to come along in ages—wouldn't start canning for another six years, in 2008. These days, Houstonians are absolutely spoiled for breweries. And not just any old breweries, but amazing breweries. Buffalo Bayou Brewing Co. and its intrepid founder, Rassul Zarinfar, have created bizarre blends that speak to Houston's very fabric: a hibiscus wit, for example, with the flavor of jamaica agua frescas that are served in our taquerias, or Smoke on the Bayou, a Scotch ale turned rauchbier (of sorts) made with malt smoked at two of the city's most beloved barbecue joints. The guys at 8th Wonder Brewery are making Houston-centric beers, too, like the Vietnamese coffee porter blended with lactose and a special Greenway Coffee blend that mimics the strong, sweet flavor of the iced cafe sua da found in our banh mi and pho joints. These are the beers that we'd put into the perfect Houston six-pack if we could, along with the crisp, grapefruit-heavy Yellow Rose from new Magnolia brewery Lone Pint—which, in my opinion, is the absolute perfect beer for conquering Houston's humid summers—except for a couple of problems. 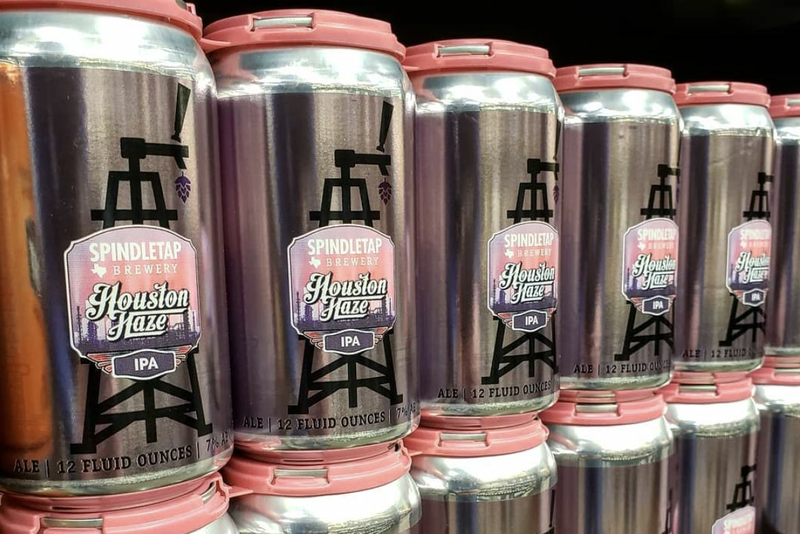 One problem is that—for now—only four Houston-area breweries package their beers in the type of bottles or cans appropriate for a six-pack. (Buffalo Bayou produces 22-ounce bombers of certain beers, like the More Cowbell you can find right now at Spec's if you look real hard.) The other is that so many of our great Houston beers are seasonal or one-off creations, making it tough to compile a perfect Houston six-pack unless you buy the beers individually as they come out. (This isn't actually a problem; I prefer seasonality in my foodstuffs, beer included.) Smoke on the Bayou and Yellow Rose are, for now, fantasy six-pack material. 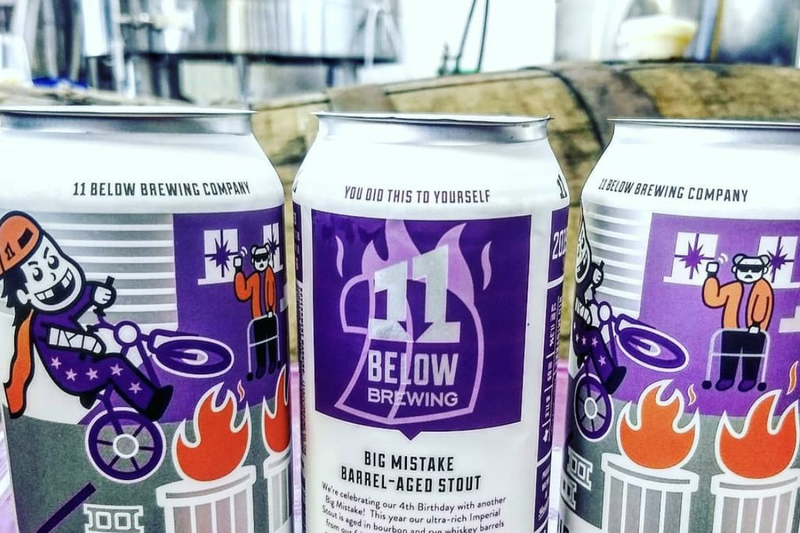 This leaves us with beers that are bottled or canned year-round, although there are still plenty of creative ways to bundle your own "perfect Houston six-pack" for an out-of-town or out-of-state friend. Here are my six picks, chosen to showcase the best our big four breweries have to offer and to create a well-rounded package with six distinct styles of beer. This was the first IPA I ever tried, and I was a diehard fan for years. Although I'm less of a hop-head these days, I still have a deep fondness for the Saint Arnold brew that shook me out of my malt-cushioned comfort zone when it debuted in 2004, as I imagine it did for plenty of other craft beer novices in Texas over the years. The Elissa is still a very good all-around IPA, and the label—with Saint Arnold, the Bishop of Metz, looking out across Galveston Bay with the tall ship Elissa sailing into the distance—is pure Gulf Coast. To this day, Saint Arnold donates a portion of the proceeds from the sale of Elissa IPA to maintain the 1877 tall ship Elissa down in Galveston, so you can feel good about every six-pack you purchase. The bright blue can with a cowgirl riding a rocket drew many a non-craft drinker to Southern Star's Bombshell Blonde, which was one of the Conroe brewery's first—and still one of its most popular—beers. Bombshell is the perfect beer to convert Miller or Bud drinkers to craft beer, with a flavor profile that's familiar to those who normally drink adjunct lagers, except a hundred times better. As with Elissa, Bombshell is lovely example of its style—an American blonde ale, in this case—and the striking packaging makes it all the more attractive. As pictured here, Rodeo Clown is also terrific with the black bean burger at Gratifi. I love Rodeo Clown for several reasons: the first is the name, which couldn't be more ideal for Houston—especially near rodeo season. The second is the packaging; Karbach also cans all of its beers like Southern Star does, making transport and storage that much easier. The third is the beer itself, which is a perfectly balanced double IPA. It's neither too malty nor too hoppy and, along with Saint Arnold's Endeavor (packaged only in bombers), is one of the better DIPAs in Texas or anywhere else. This wasn't Southern Star's very first beer—that would be the Pine Belt Pale tallboy, a fiercely resin-y pale ale—but most would argue the Buried Hatchet stout is the brewery's best year-round brew. It's an exceptionally creamy and dark stout, with strong coffee, chocolate, and roasted malt flavors rolling off each sip. 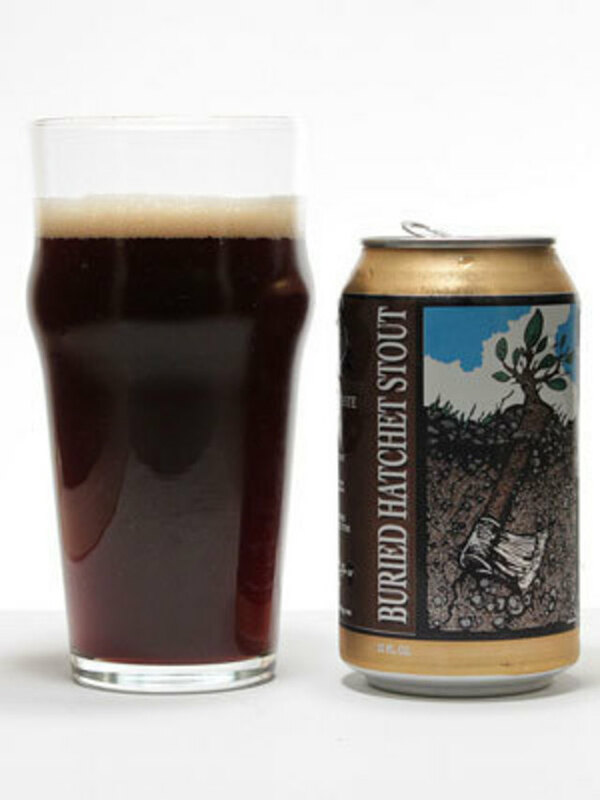 But here's the thing: because it's well-balanced with Saphir hops, Buried Hatchet is that rare stout you can drink during Houston's hot months and not feel weighed down by its richness. You can't build a mix-and-match sixer without a good, old-fashioned Amber in there. 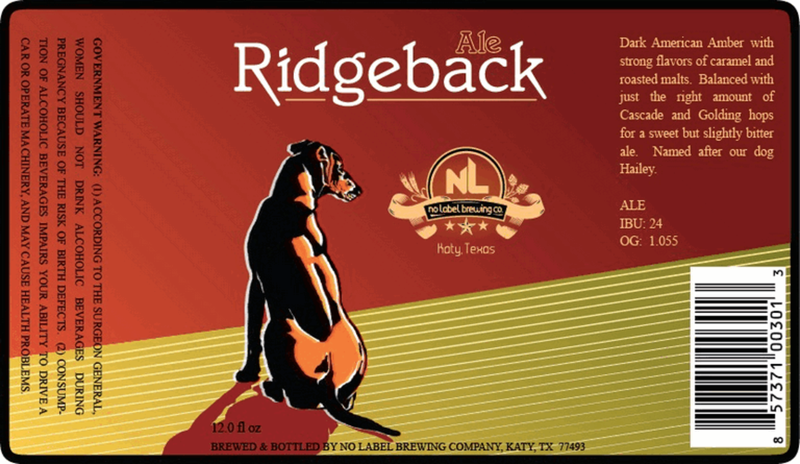 No Label's version, Ridgeback Ale, is one of the Katy brewery's flagship beers and also one of its best, with caramel and vanilla notes that fade into a nice, crisp finish. (My favorite No Label is still the strong, dark Elda M Milk Stout, which is a seasonal brew—and available right now.) The cute dog on the label isn't just there for looks, either: Ridgeback is named after the brewery's Rhodesian Ridgeback, Hailey. That label. That style. What's a black kölsch? Who cares; it's wonderful. 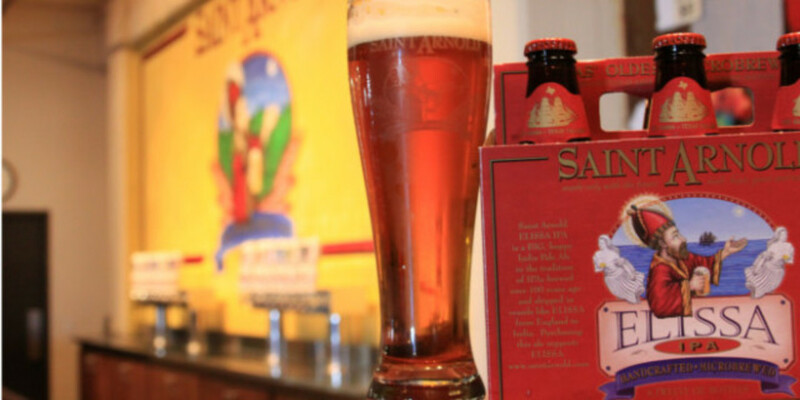 It's been nearly two years since Saint Arnold debuted this newest year-round brew, Santo, and created a whole new style of beer while they were at it. (You should really read the wonderfully convoluted story behind Santo's creation.) 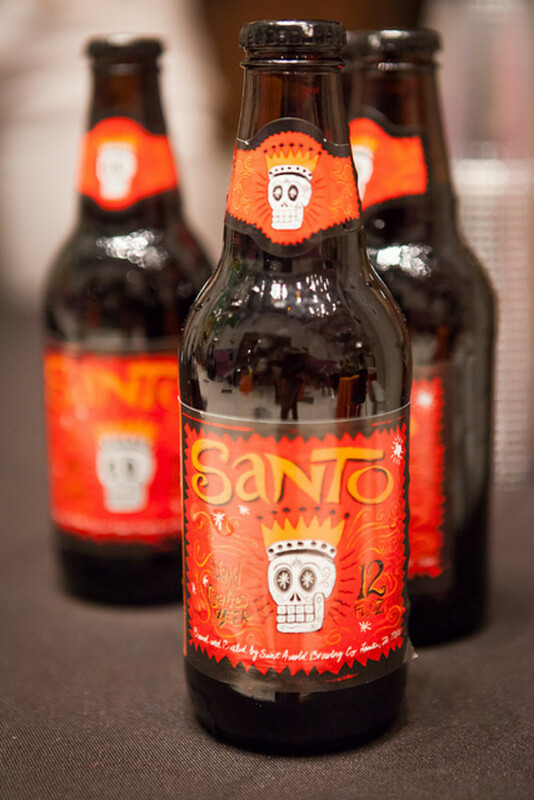 The striking Dia de los Muertos-influenced label was created by local artist Carlos Hernandez, who reimagined St. Arnold, the Bishop of Metz, as a sugar skull. It proved so popular that Saint Arnold painted an enormous version of the Santo skull on one of the stainless steel tanks outside the brewery, for every traveler along I-10 East to see. 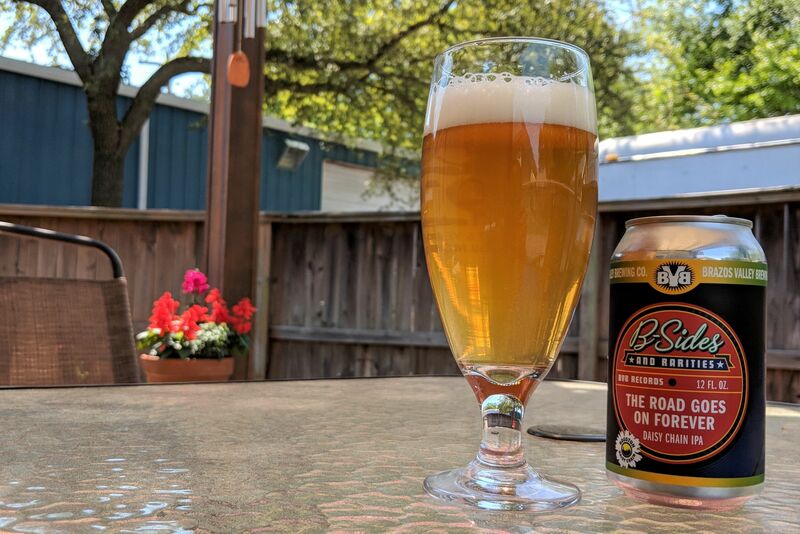 The blend of German and Mexican tradition into one dark, malty, roasty kölsch beer couldn't be more Houstonian—and it doesn't hurt that the beer itself is downright delicious. 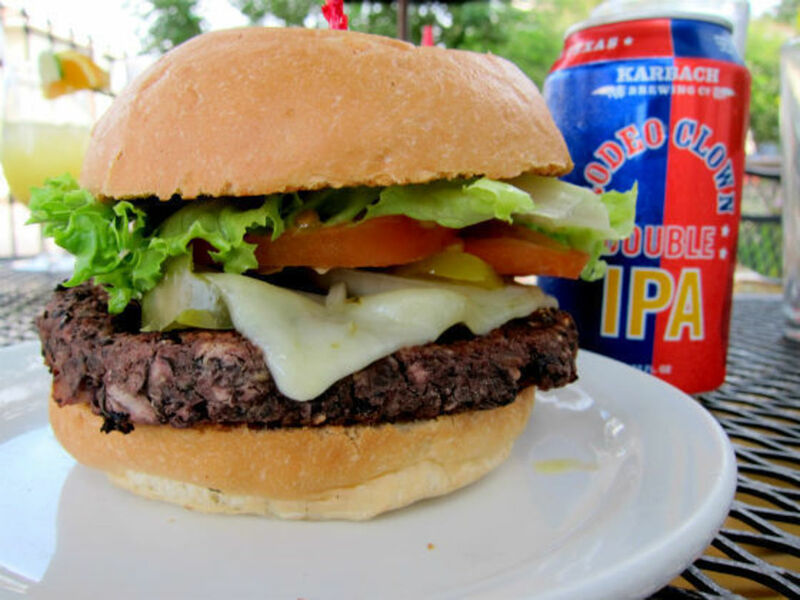 What would go into your everyday Houston six-pack? Your fantasy Houston six-pack?